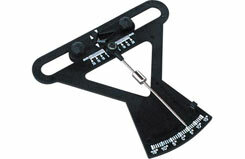 An inexpensive pitch gauge that is both simple to use and very accurate. Adjustable blade grips make it suitable for use with any regular size helicopter blade. 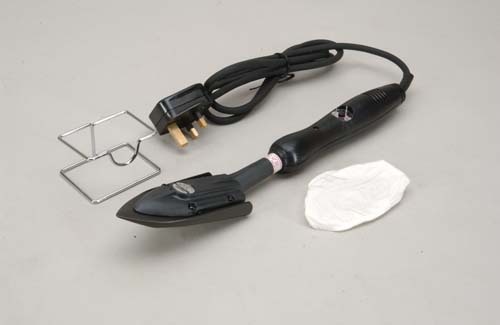 The Irvine Pro Sealing Iron features sophisticated micro-processor temperature control, and a specially shaped teflon-coated shoe. Has an easy to set temperature dial set into the handle, so it cant be moved accidently. 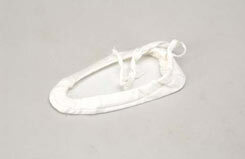 Supplied with an iron-stand, and protective sock to reduce scratching. A quality covering iron sock that reduces the possibilty of minor scuffs and scratches generated by the iron shoe on the surface of your chosen covering material. An easy way to create fast and accurate ' Z ' bends. The unique navagation pin ensures perfect alignment of the bend every time. 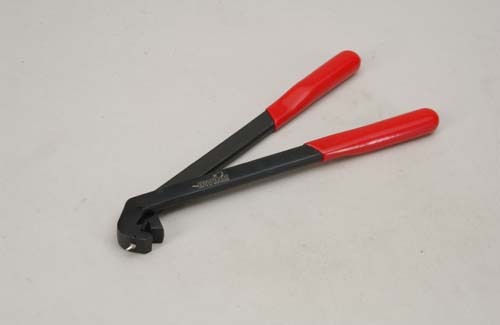 A high quality tool that will last.